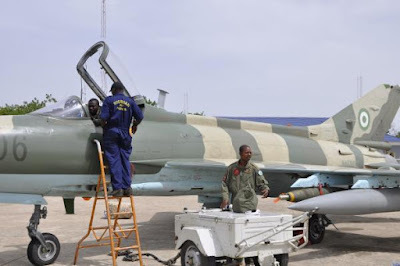 Zamfara Council of Chiefs on Thursday said many innocent villagers had been killed in misdirected air strikes by the military in the ongoing fight against bandits in the state. The News Agency of Nigeria reported that the Emir of Bungudu, Alhaji Hassan Attahiru made the disclosure at the end of an emergency meeting of the council, on Thursday in Gusau, the state capital. He said, “The council noted that airstrikes undertaken by the military did not hit the main camps of the bandits. The council said efforts to end banditry in the state would only be achieved “if the main camps of the bandits are taken over and security personnel stationed there for a considerable period of time. The council said the traditional rulers had always cooperated with government and security agencies in providing information on location, routes and names of persons engaged in such criminal activities. “We will not shield anyone and we will want any suspect however highly placed to be arrested and prosecuted, ” the council said. NAN reports that the meeting, chaired by council Chairman and Emir of Anka,Alhaji Ahmad Muhammad, was attended by all the emirs in the state.